Fiat have been known to be a little ballsy every now and then when introducing cars in India. 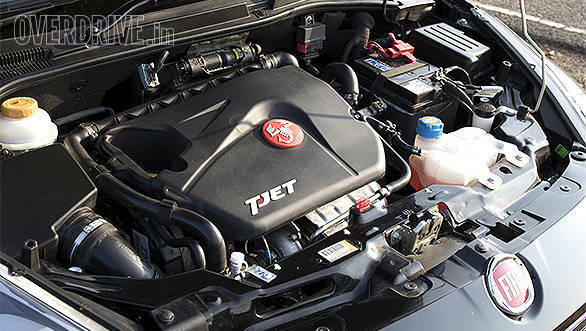 It started with the early 1.6-litre Palio which was christened the "first hot hatch in India"; then it was the Linea T-Jet, which was the first turbocharged petrol car in its segment. Now they've given us the 145PS Punto and 140PS Avventura powered by Abarth. While the Abarth Punto certainly does qualify as a hot hatch, does the Abarth Avventura? The Fiat's 140PS/210Nm 1.4-litre turbopetrol engine is quite a firecracker. There is very little lag from the engine, and when the turbo spools up at close to 2,000rpm, the car immediately lunges forward with smoking tyres and a handful of torque steer to deal with. When the engine redlines at around 6,500rpm, you shift to second and you're back at squealing tyres and torque steer. The surge of power from the turbo is pretty obvious in the lower gears, whereas you'll barely recognise the turbo kicking in at fourth and fifth. The car gets from 0 to 100 in 10.2 seconds, which feels quick from behind the wheel, but in my opinion, is a little slow for a 140PS turbocharged petrol engine. What really lets this car down though, is the gearbox. 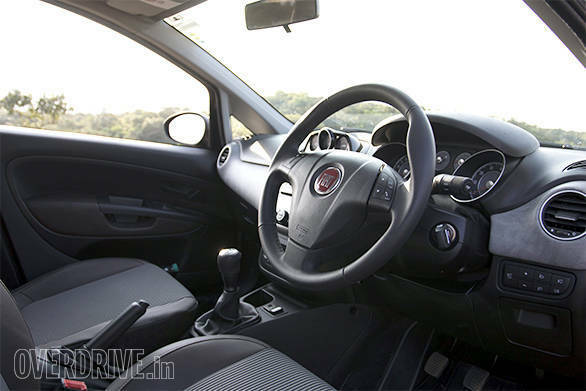 The Fiat Abarth Avventura uses the same rubbery 5-speed manual from the Avventura and Punto, which really saps a lot of the power before it gets to the wheels. The gearbox isn't precise and doesn't give you that performance-oriented feel you would expect from a hot hatch. The engine is quite friendly and isn't a lot of hard work when in traffic, although you would have to constantly shift between first and second in crawling traffic because of the gear ratios. It felt more at home on the highway as it cruised comfortably at 110kmph with 2,500rpm, with all the power ready to be delivered as soon as you step on it. 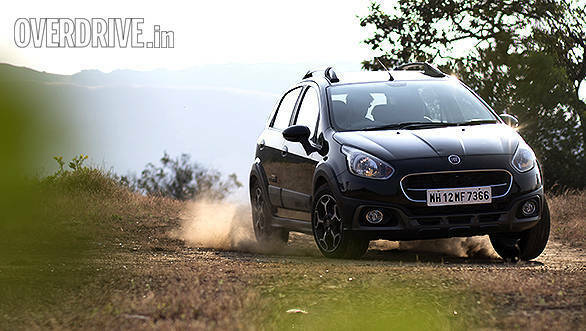 The ride quality on the Fiat Abarth Avventura is quite impressive, especially over bad roads. 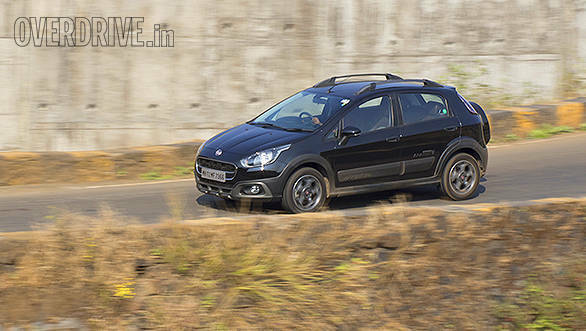 While the Fiat Abarth Punto was lowered for better performance, the Abarth Avventura retains it 205mm ride height. Although this would normally mean a lot more body roll, the Avventura Abarth's suspension really holds its own. The suspension is absorptive enough to allow for a smooth ride over potholes and yet stiff enough to hold steady the car's weight around curves. The hydraulic steering is a delight to use, especially because of the amount of feedback that it provides. Although it feels heavy in the city, the weight does help with stability at higher speeds on the highway and on winding roads. However, where these two hold up, the tyres let go. While these 205-section Goodyear tyres on the test car might have worked perfectly on the basic Avventura, they were certainly not made to handle the 140PS delivered courtesy Abarth. Apart from the tyres spinning uselessly in first and second gear, they squeal and lose traction at every turn, and that means you really can't use all the power that is available to you. This is quite disappointing considering you've paid all that money to do just that. 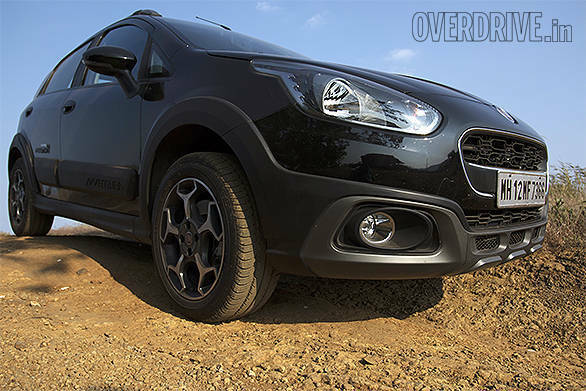 The Fiat Abarth Avventura gets disc brakes all around with ABS and EBD, which feel sharp but not bite-y. The brakes work well and bring the car to a standstill from a 100kmph within 3.1s in 43.2m. 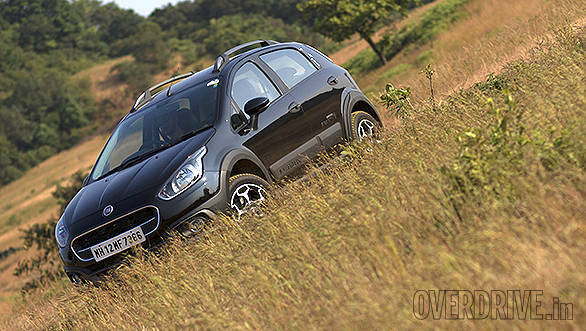 The Fiat Abarth Avventura has always been quite a looker that managed to catch a lot of eyes while we drove it around. With aggressive body cladding and that backpack-like spare-wheel mounting, it had an almost concept-car look. The Fiat Abarth Avventura is pretty much the same package all around, with just a few changes. 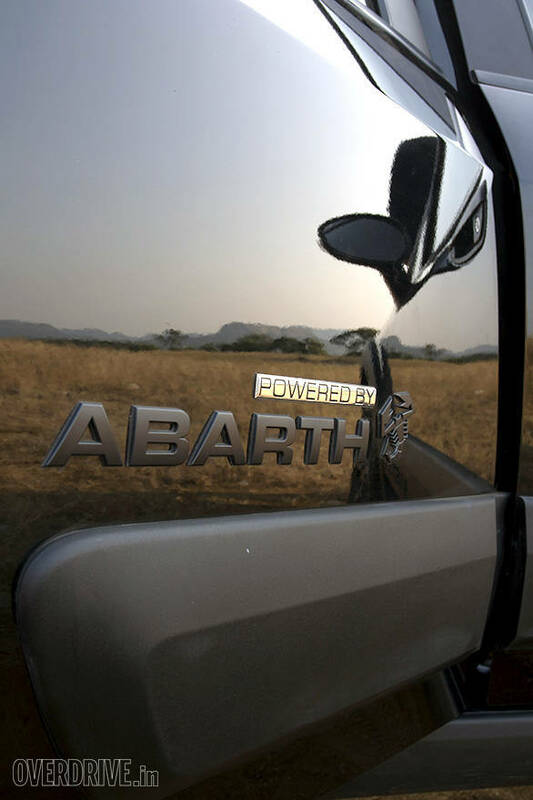 The only giveaway of its Abarth origins are the 'Powered by Abarth' badges on the rear door and the Scorpion logo on the engine cover. Even those sleek 16-inch Scorpion wheels seen in the Abarth Punto get Fiat badges. The car doesn't attract as much attention to itself as the Punto Abarth, and in a way, makes for an ideal sleeper car. 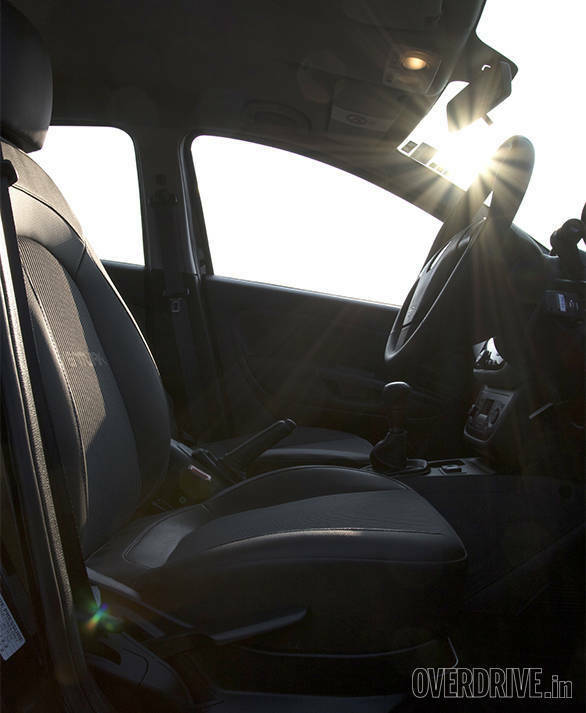 The premium feeling interior too gets no changes with the same brown and grey seats and black and grey dash. The clinometers do look cool and inform you of the degree at which you are being thrown around thanks to the lack of shoulder support from the otherwise comfortable front seats. The driving position doesn't work too well either, since the pedals are all crammed a little too close for comfort. The Blue&Me music system makes a comeback in the Abarth Avventura and the bright orange back-light livens up the dash a little bit. 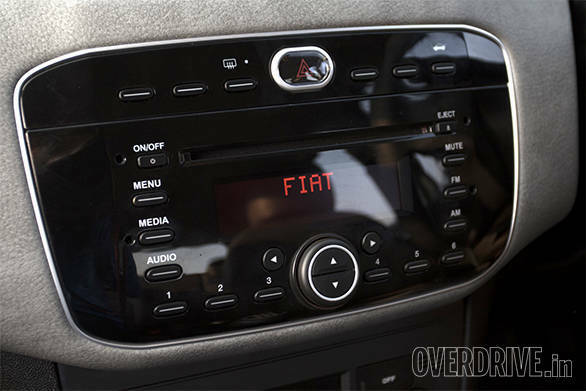 However, it's about time Fiat updates this silly old system with some better software which is easier to set up and that allows for Bluetooth audio streaming. While the Blue&Me system might have been quite the thing back in 2009 when the Fiat Linea came out, it's 2015 now and every car has Bluetooth streaming, even Lijo's little Maruti Suzuki Celerio diesel. The Fiat Abarth Avventura does check some of the important boxes to pass for a daily driver and a weekend getaway car. The dimensions aren't too big for the city, which means it can be parked with relative ease, although rear parking sensors would have certainly been appreciated, especially with that spare-wheel sticking out like that. On road trips across unknown roads, the 205mm of ground clearance means you hardly have to worry about bottoming out on broken ground. I had quite a bit of fun as I turned into every dirt trail that lined the highway and climbed all the little mounds without hiccup. However, the car isn't as efficient as the other hatches and crossovers, with an average of 9.8kmpl in the city and 13.5kmpl on the highway. But then again, you're not paying more than Rs 10 lakh for a 1.4-litre turbocharged petrol that is more efficient than exciting.